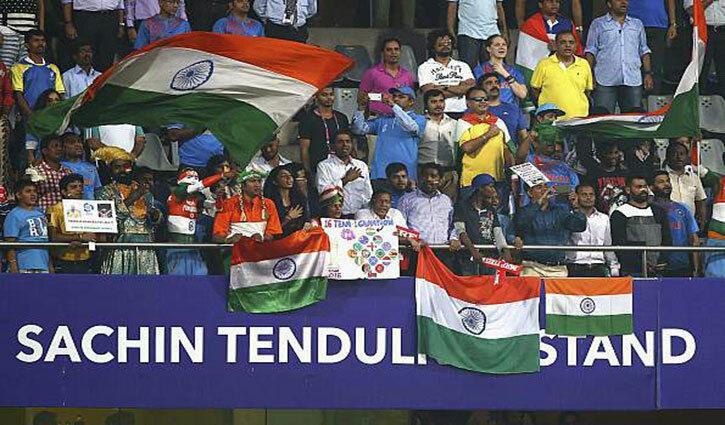 Sports Desk: The International Cricket Council (ICC) has asked the Board of Control for Cricket in India to cough up USD 23 million (Rs 1,61,32,20,000) before December 31 to compensate for the tax deductions while hosting the 2016 World T20 in India, according to a media report on Saturday. The ICC, which is currently headed by former BCCI president Shashank Manohar, hoped that the Indian cricket body will compensate the global body for the deductions incurred while hosting the tournament two years ago as it didn't get any waiver from the central or state governments. The BCCI was reminded of this again during ICC's board meeting in Singapore in October, a report in The Times of India said. The BCCI, now run by the Supreme Court-appointed Committee of Administrators (CoA), has less than 10 days to comply with the demand of ICC and should they fail to do so, the ICC will deduct the amount from India's revenue share for current financial year. Not only that, the ICC has also threatened to take away the hosting rights of the 2021 Champions Trophy and the 2023 50-over World Cup from India and look at "other options", the TOI report added. What added to BCCI's woes is that Star TV, the official broadcast rights holder of all ICC tournaments, had deducted all taxes before paying ICC for the tournament and now the latter wants BCCI to pay up for it. The BCCI has asked the ICC to share video footage of the meeting where the Indian board has agreed to pay the tax waiver. The BCCI was headed by N Srinavasan then and according to people in the know, at no point did he agree to compensate for the tax deductions should ICC receive no waiver, the report said. The CoA-led board is adamant that if ICC doesn't share the minutes, where BCCI has agreed to compensate for the tax deductions, it will make no such payments to the cricket global body. Not only that, if ICC indeed decides to go ahead and deduct the money from BCCI's share of revenues for the financial year, it will resort to legal recourse, the TOI report said.